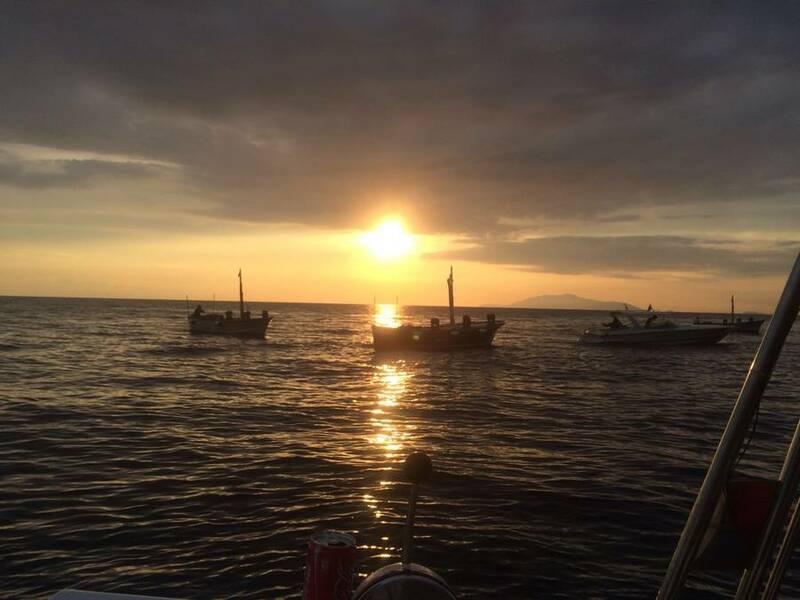 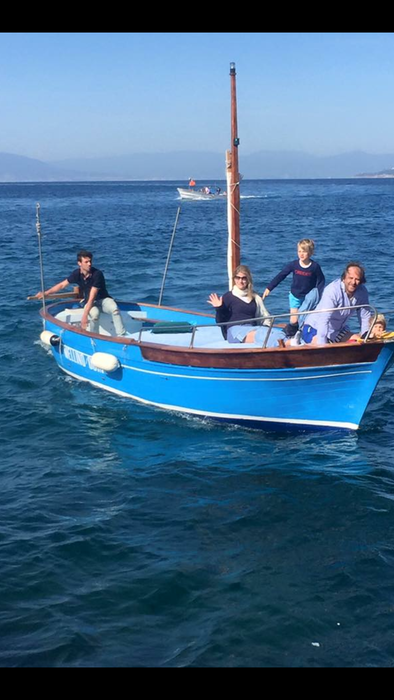 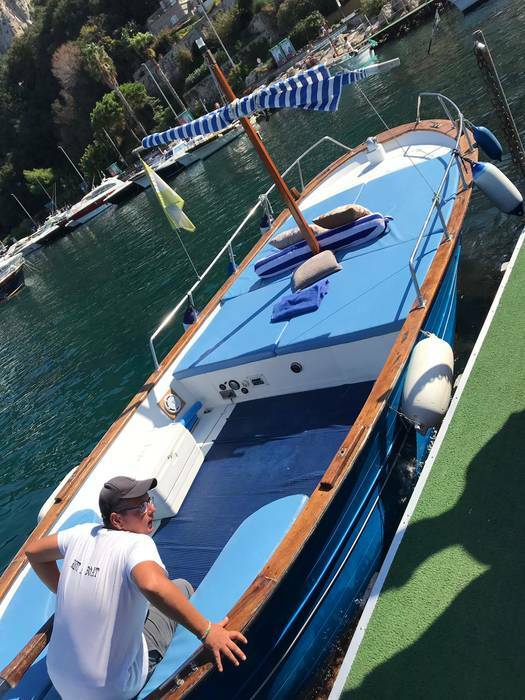 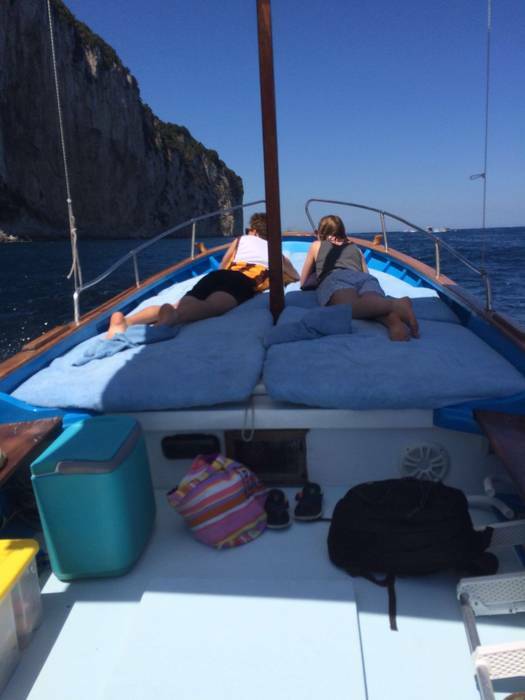 Are you looking for the classic sail around Capri or a full day boat tour of the island to cap off your holiday? 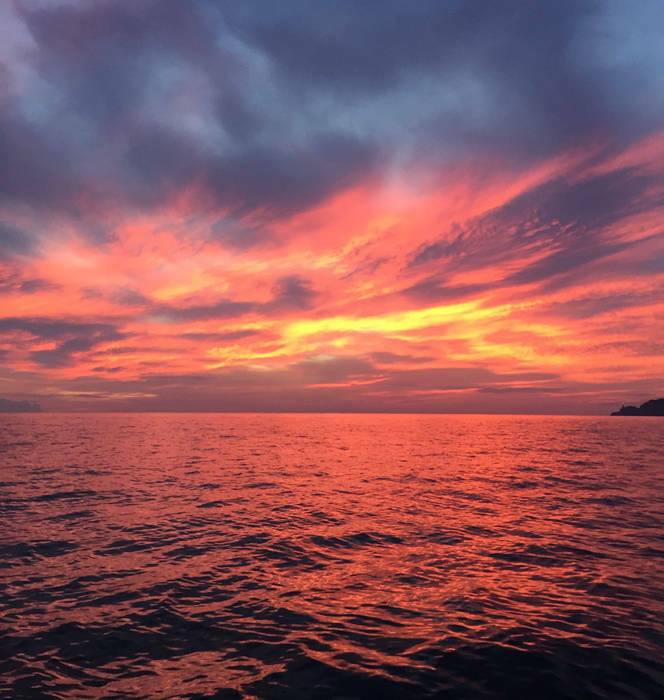 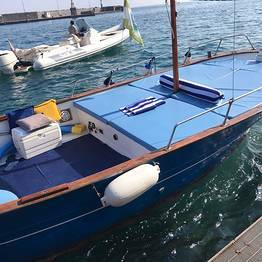 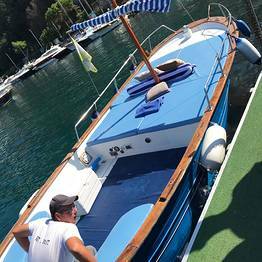 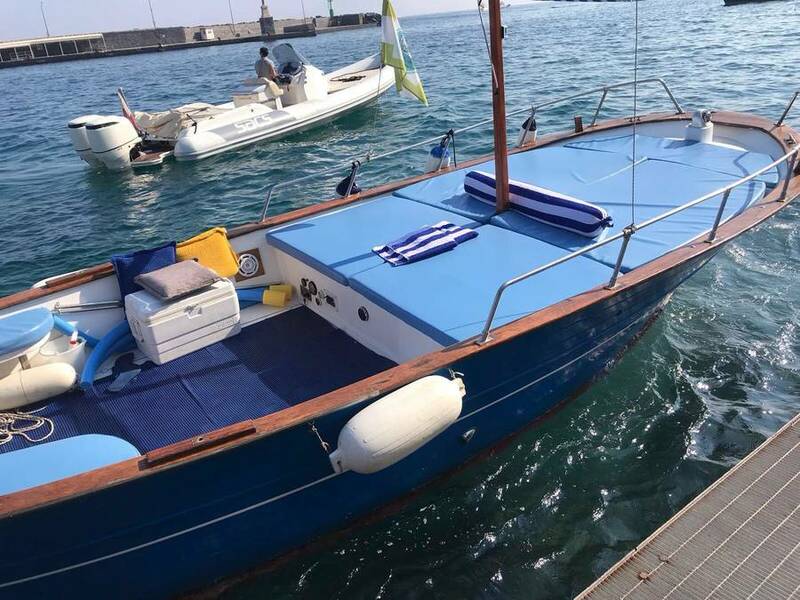 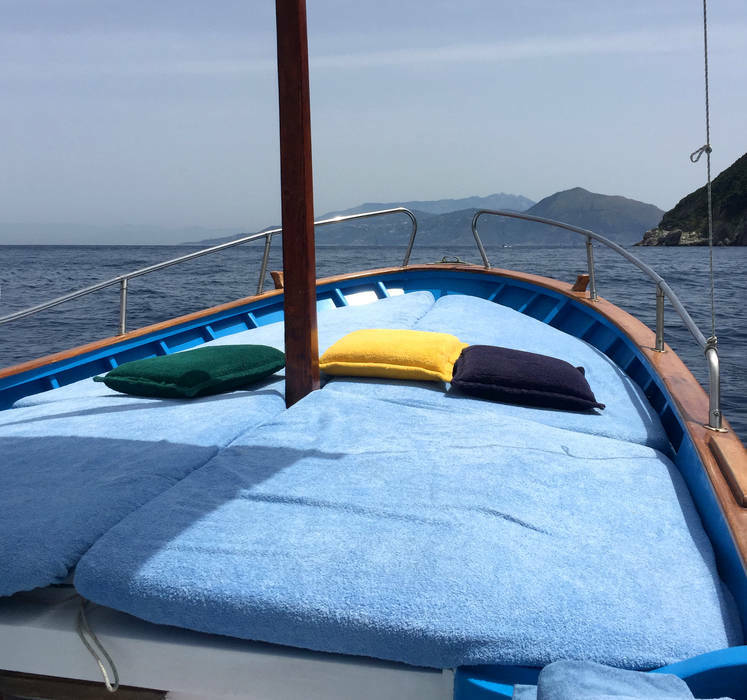 With Vincenzo Capri Boats the choice is easy: just opt for a traditional island gozzo or a speedboat and let an expert skipper take you on the boat trip of a lifetime. 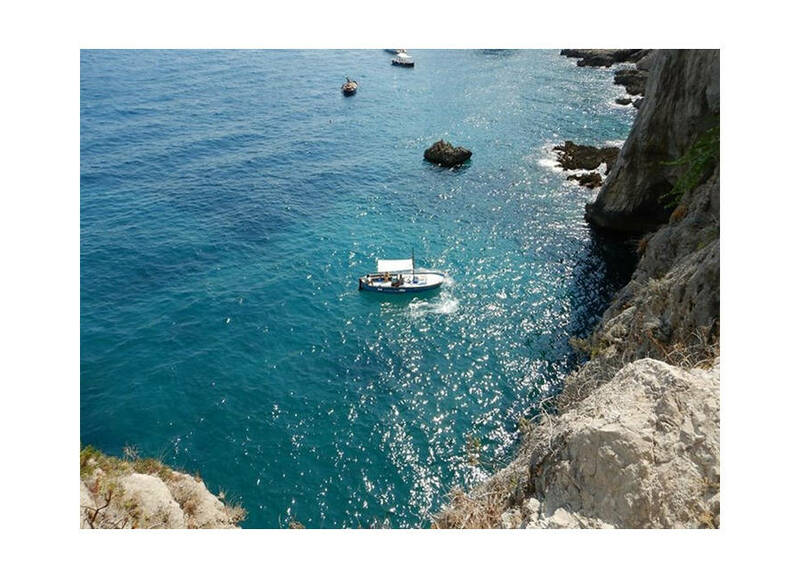 Want to explore on your own? 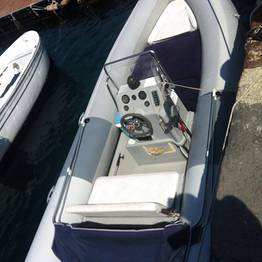 Then rent a rubber dinghy and be skipper for a day, even if you don't have a boating license but have a bit of experience at sea! 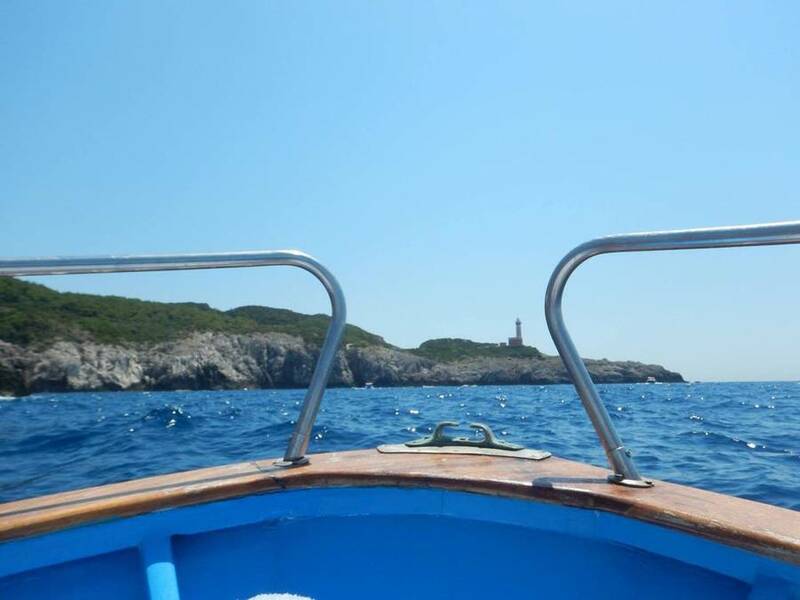 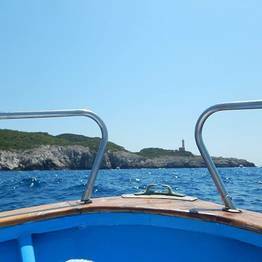 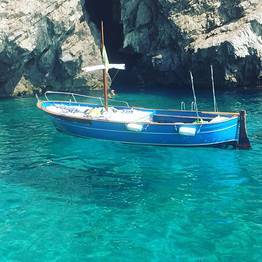 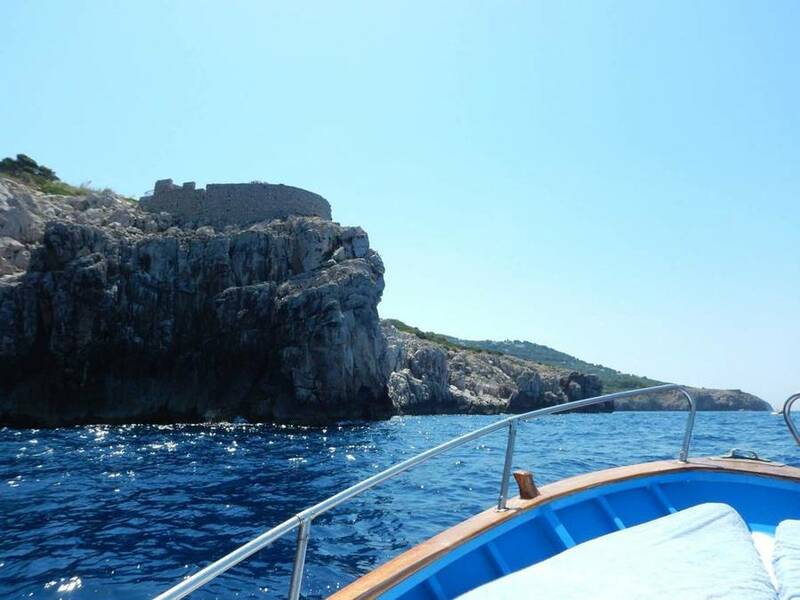 Boat tours with Vincenzo Capri Boats are the best way to see the Faraglioni, Marina Piccola, Green Grotto, Punta Carena Lighthouse, and Blue Grotto from up close, and to swim or snorkel in the crystalline waters off the island. 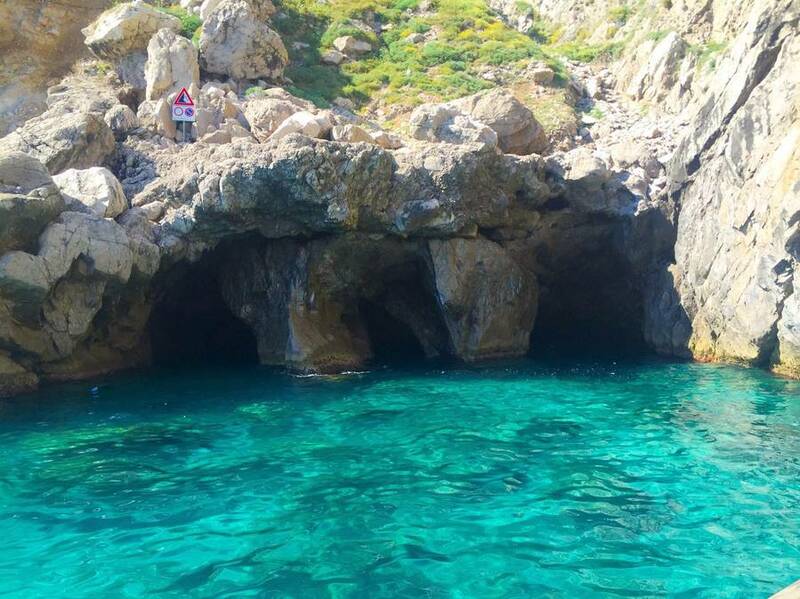 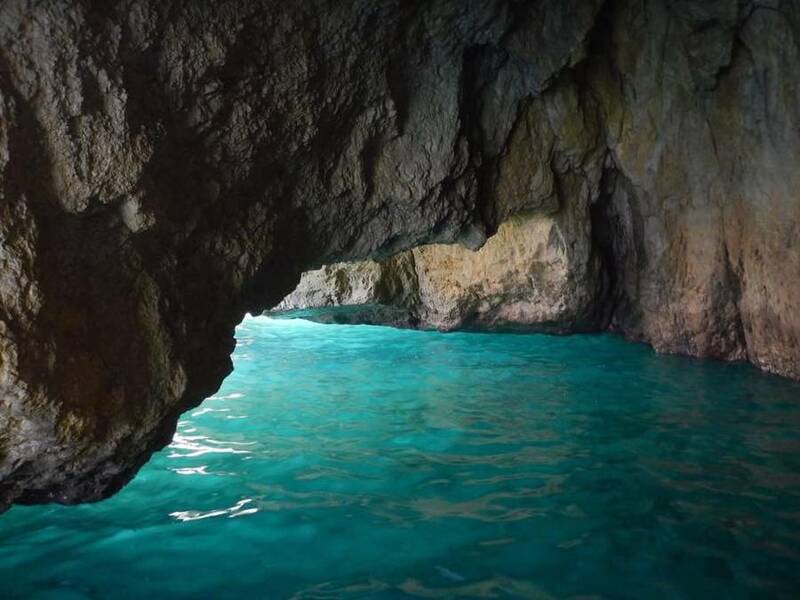 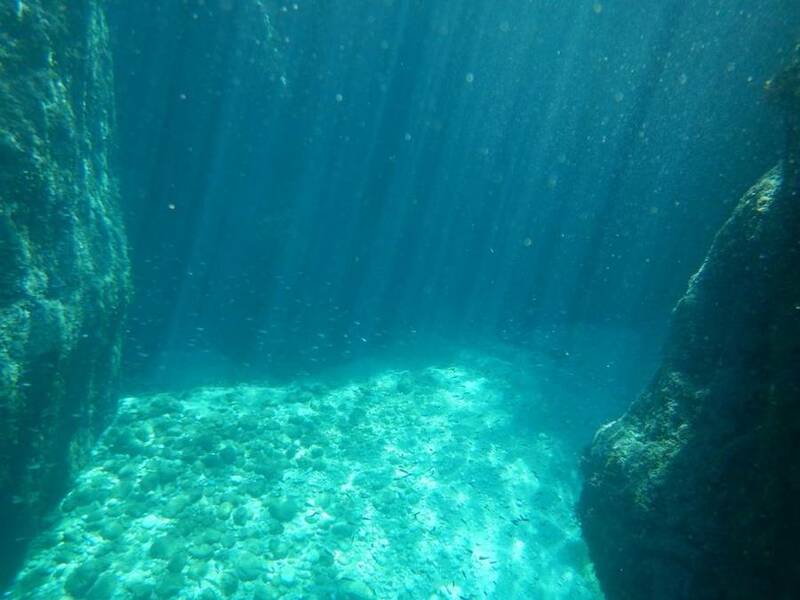 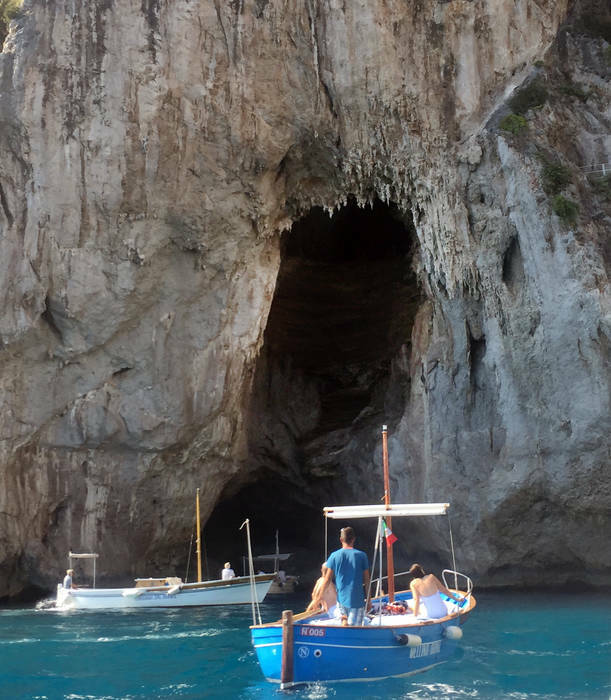 You will also have time to discover grottos, bays, an hidden coves along the coast that are just as spectacular, known only by the local skipper on Capri like those who are at the helm on Vincenzo Capri Boats! 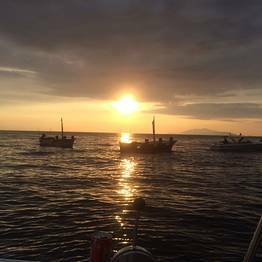 Our expert skippers are also de facto “on-board guides” (who also speak English) who can share the history, lore, and legends of the island! 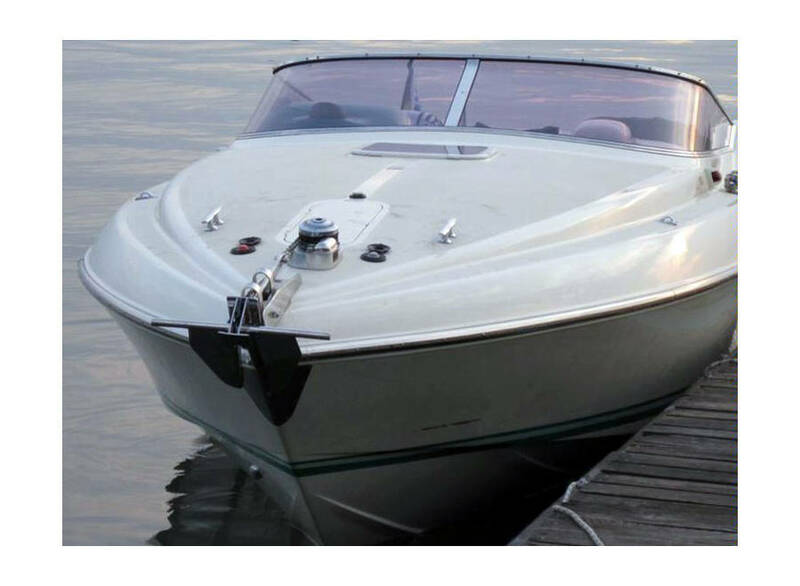 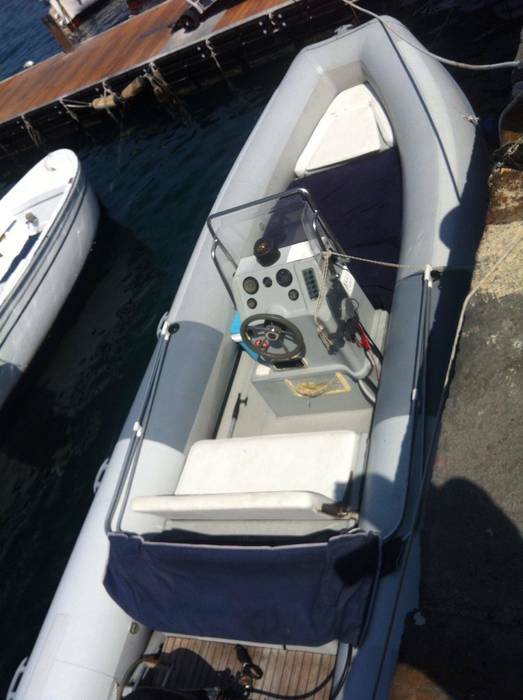 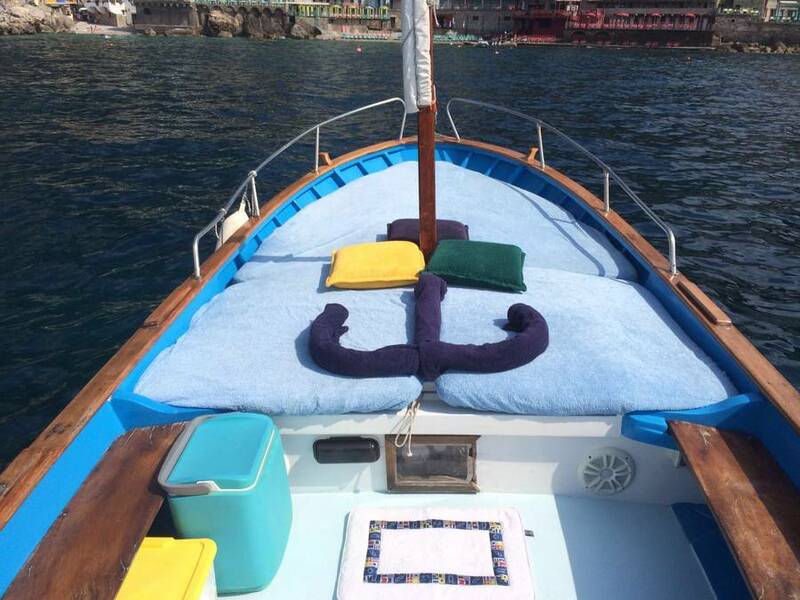 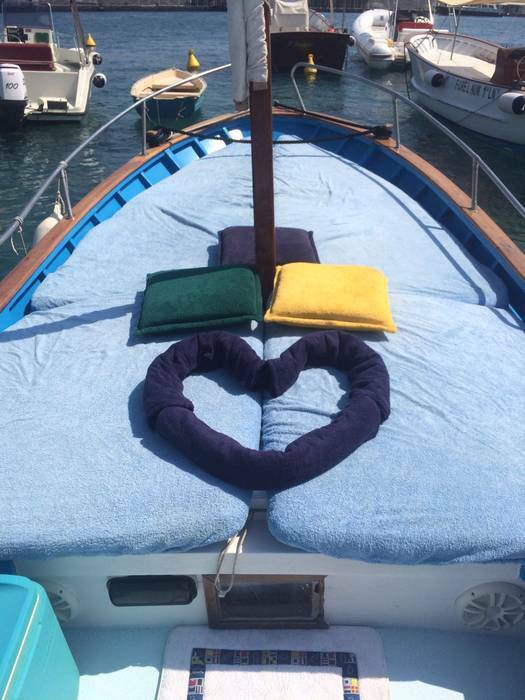 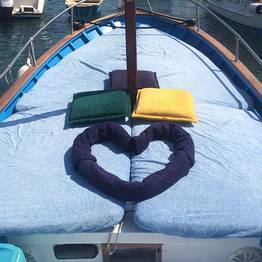 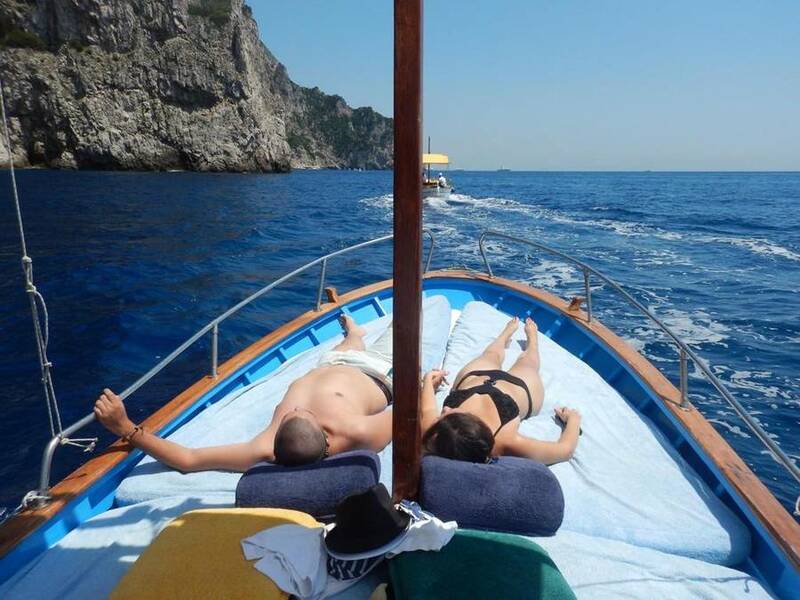 On Vincenzo Capri Boats' gozzo boats and speedboats, there is all you need to have a relaxing day at sea. 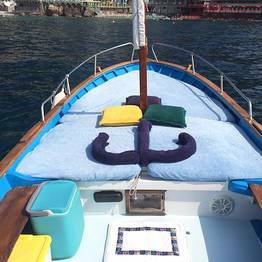 Spacious padded sun deck and awning, beach towels, and a fresh-water shower are all on board, in addition to an ice chest with cold alcoholic and non-alcoholic beverages and snorkeling masks''' for extra fun in the waves. 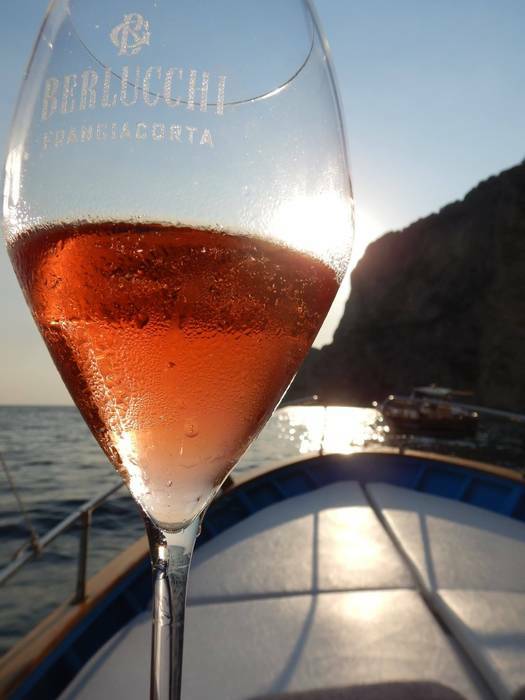 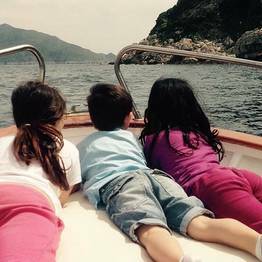 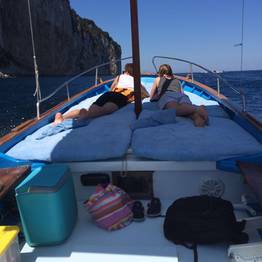 Vncenzo Capri Boats also offers a number of on-board services upon request, including panini capresi with mozzarella and tomato''', wine, prosecco, or even champagne. 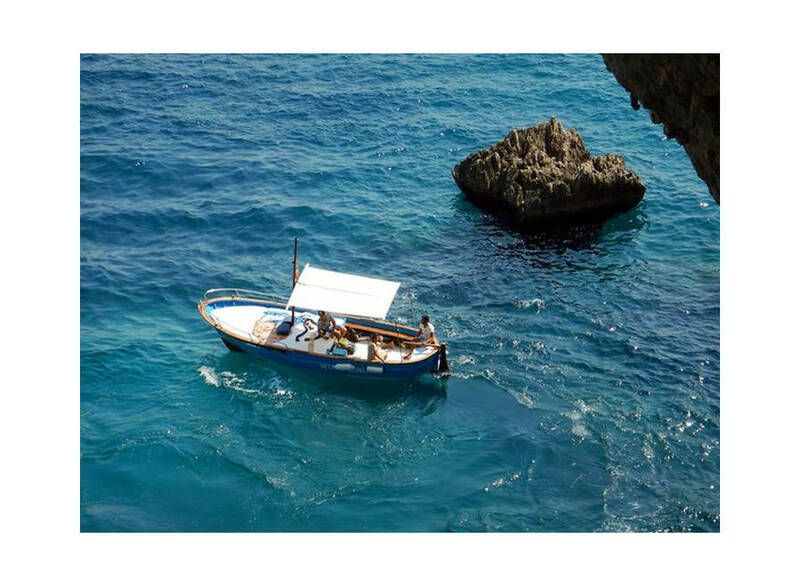 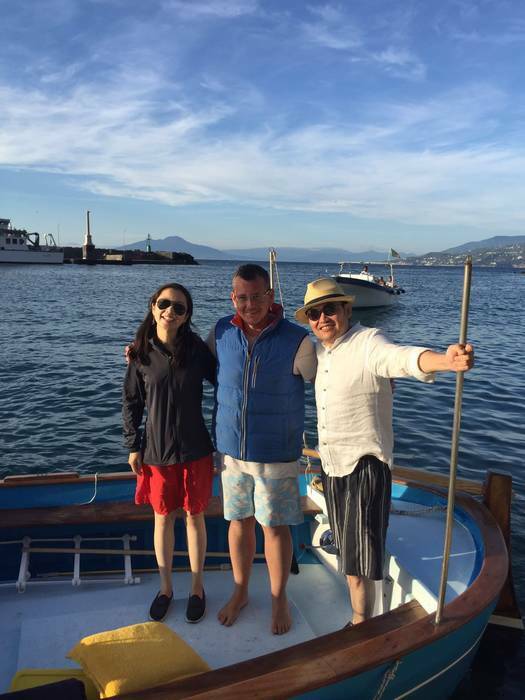 Convenient, fast, exclusive: a private transfer by speedboat with Vincenzo Capri Boat lets you get to and from Capri in complete comfort from Naples or Sorrento or even the towns along the Amalfi Coast including Positano, Praiano, and Amalfi. 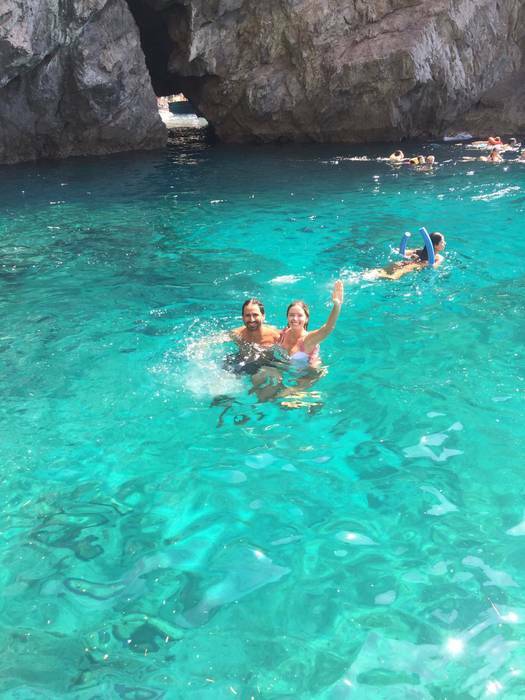 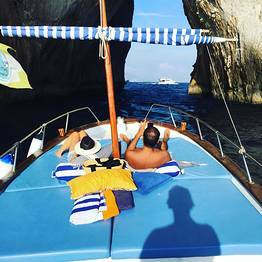 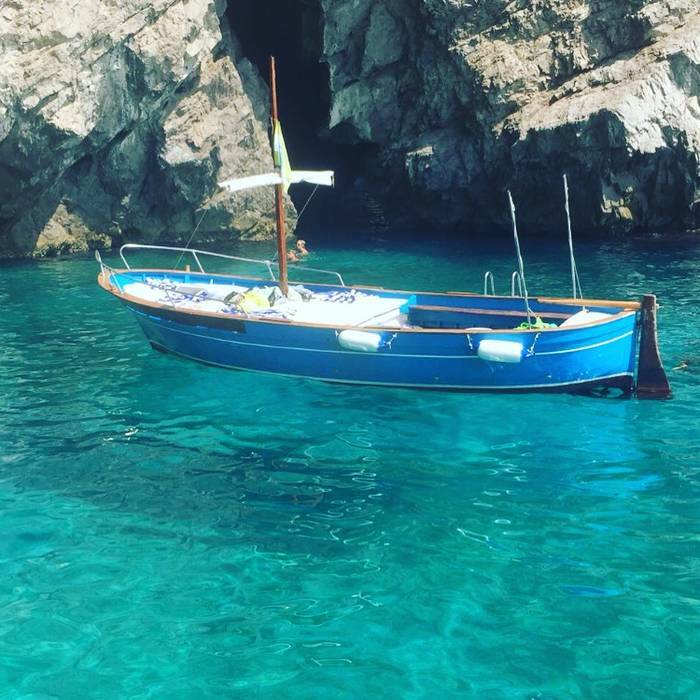 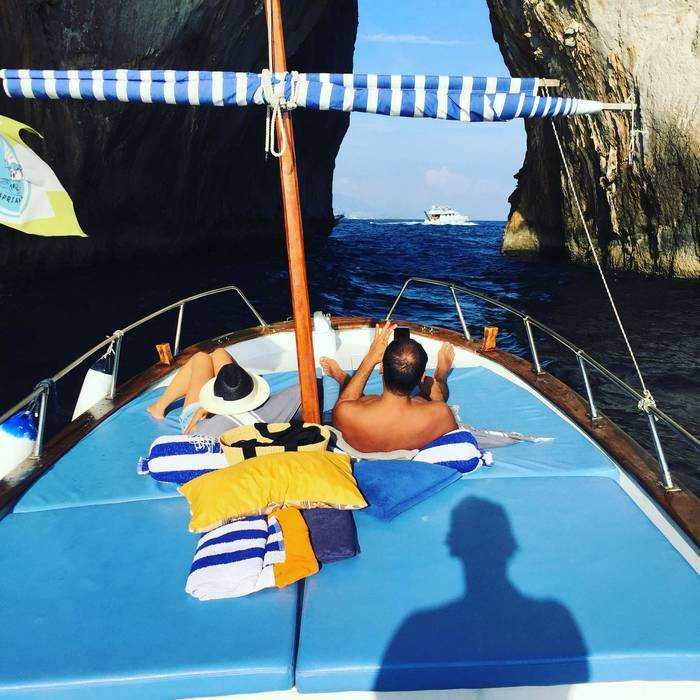 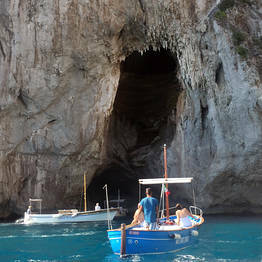 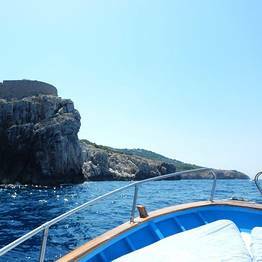 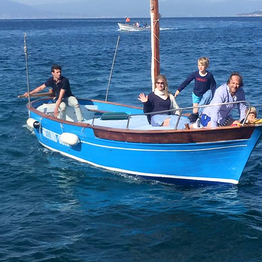 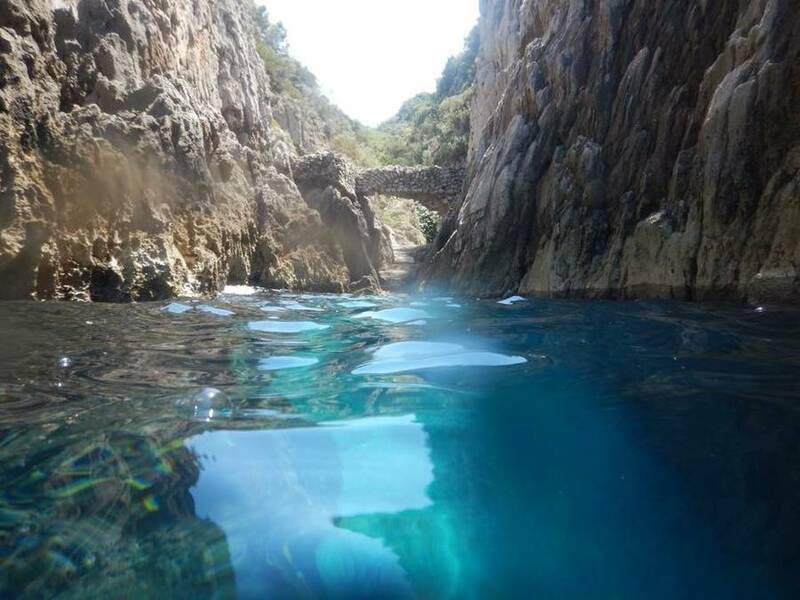 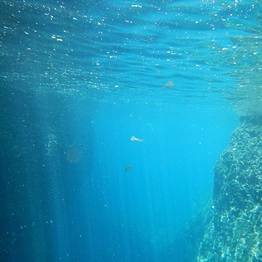 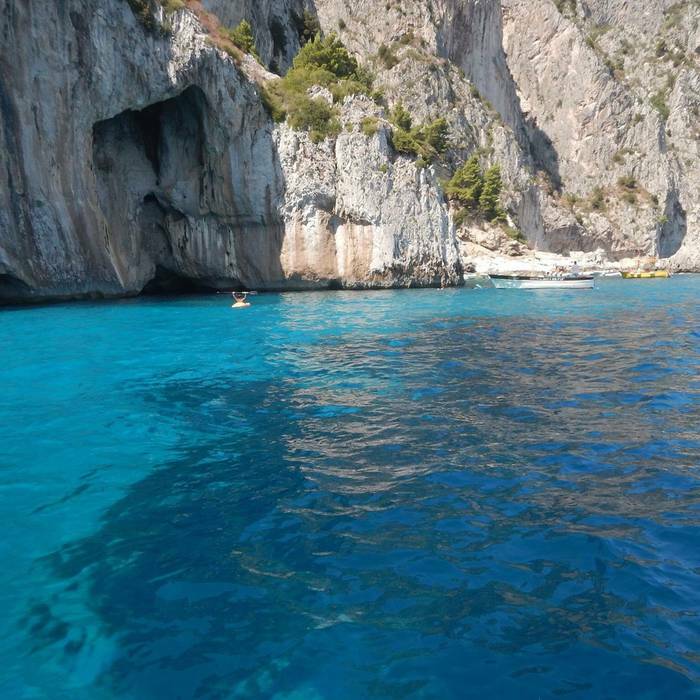 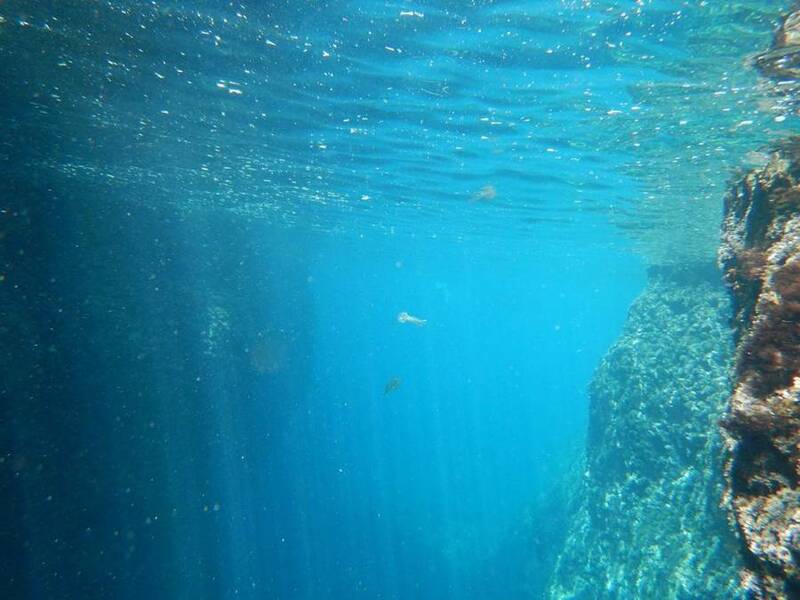 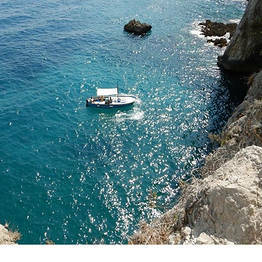 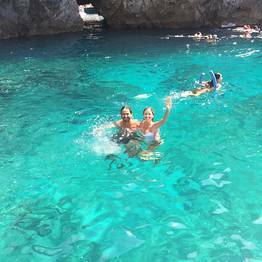 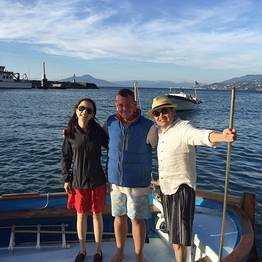 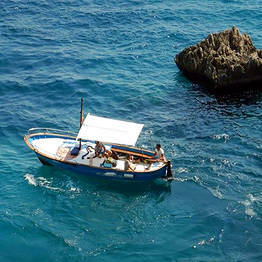 A private boat tour via gozzo around Capri to visit the grottoes, sail past the Faraglioni, and even stop to swim. 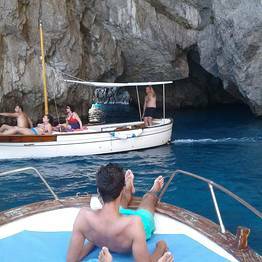 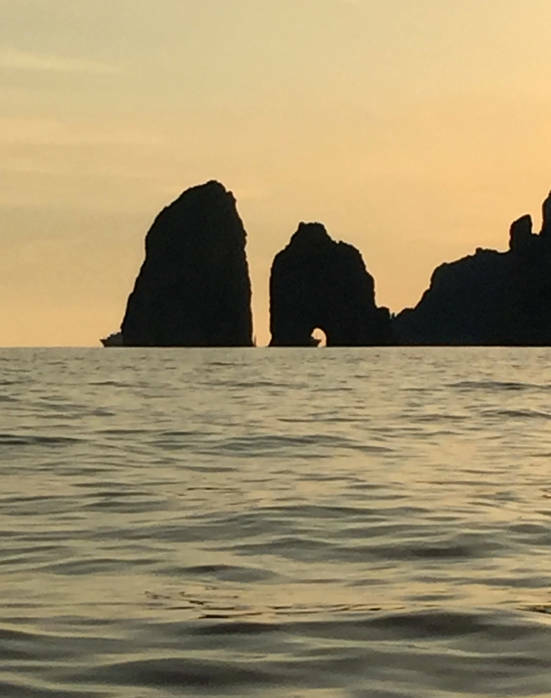 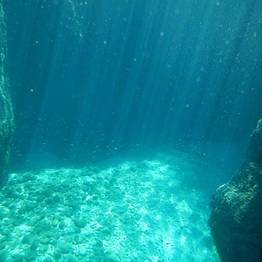 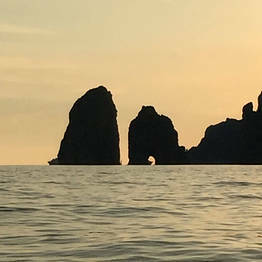 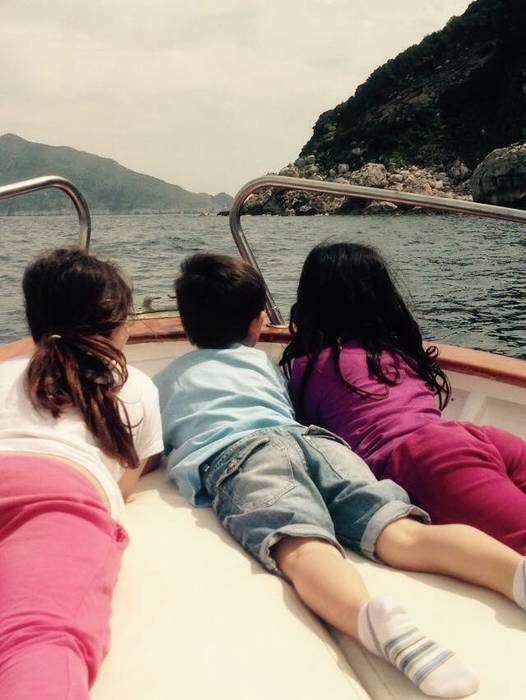 A gozzo boat tour around Capri passing the Faraglioni and coastal grottoes, with swim break off the coast. 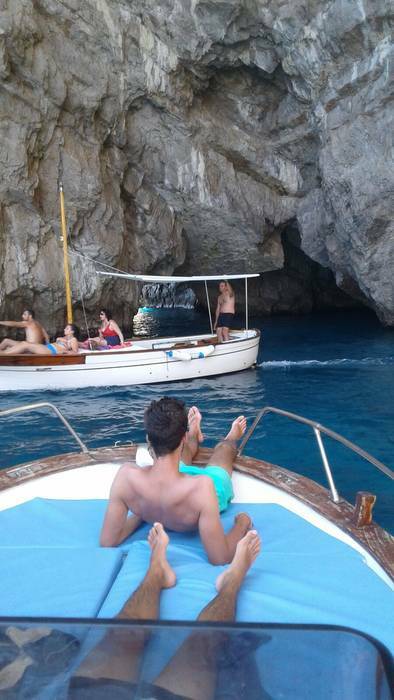 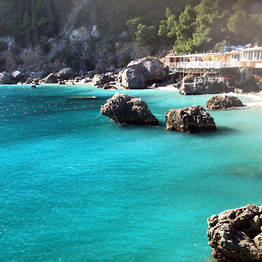 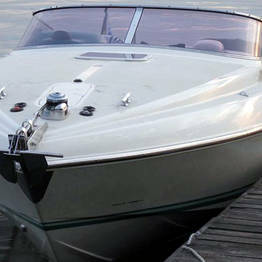 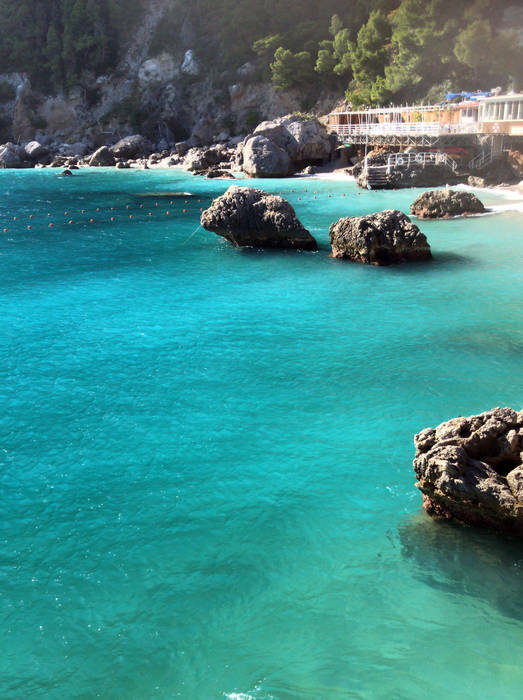 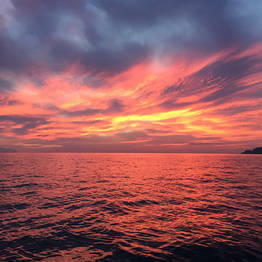 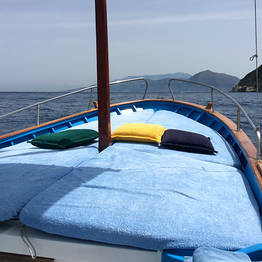 Speedboat tour of Capri including stops along the coast to see the highlights and swim; bathroom and minibar on board. 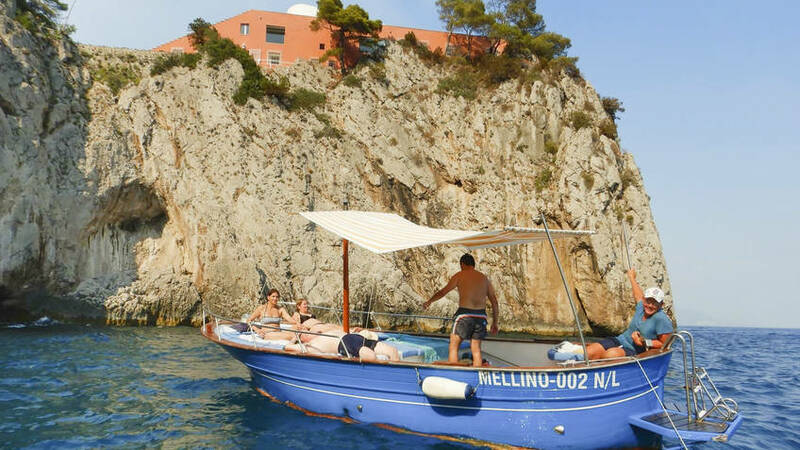 A speedboat tour of Capri island and the coastline between Positano and Amalfi, with amenities like bathrooms and soft drinks on board.